Hey, I am looking to sell a few things. Prices do not include shipping. Jackets and pants $12 each or $20 for a set (more you buy, more of a discount you get). 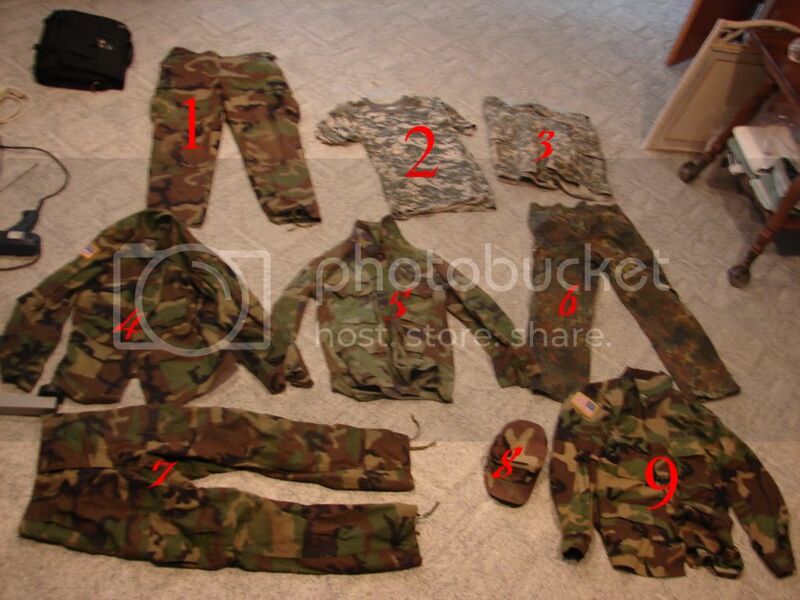 #2 and #3 go together along with a matching ACU hat (not in the picture) for $12 total. If your interested in the Unknown sized items, Let me know and Ill size them up to me to get a rough estimate of sizing. Open to offers and will give discounts if multiple items are purchased. Offer up, worst I can say is no. Picture Links updated. They werent working for some reason. They now work. offer on the camo. want it gone.